If you need reliable, heavy duty protection from chips, nicks and scratches, you have found the ultimate solution with Pro-Tint. 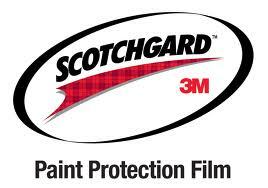 When it comes to auto paint protection, nothing comes close to Pro-Tint paint protection film solutions. The product of years of extensive research and utilizing the most advanced technology, our paint protective urethane film is virtually invisible, yet highly effective in protecting your car’s paint. You no longer have to worry about the smallest things scratching the shiny exterior of your prized vehicle—accidental projectiles such as gravel, pebbles, stones or any debris can easily nick or scratch your car’s paint, and it’s impossible to predict where they might be coming from. Our auto paint protective film can give you peace of mind—it even works as an excellent shield against minor collisions! What’s more, with Pro-Tint auto paint protection film, your car’s resale value is preserved—thanks to its ability to keep your vehicle in almost pristine condition—as if it has just rolled out of the assembly line. With its outstanding protection against UV rays and its proven ability to withstand daily abuse, our auto paint protection can take the worry out of your mind. Will not change your vehicle’s appearance, actually improves it. Protects vehicle’s paint from costly scratches, dings and stone chips and maintain the new car glossy finish without the need of wax. No maintenance required and is safe to apply wax over it. 5 year 3M Factory Warranty against: peeling, yellowing and bubbling. Our auto paint protection film is offered through various custom packages. Years of engaging in this business has enabled us to formulate some of the most sought-after auto paint protection combinations. For example, at the very least, our popular paint protection package includes protective film installation on vehicle parts most prone to abuse: the top and lower front, front headlights and sport lights, and hood and fenders. We also offer what we call The Ultimate Auto Paint Protection package—targeted for owners of high-end luxury or sports vehicles. As you know, your pricey luxury car may lose about half of its resale value if it is repainted—quite often the repair recourse in the event of even minor paint damage. You don’t have to suffer the same fate. With Pro-Tint Ultimate Auto Paint Protection, your entire vehicle is expertly and meticulously protected—from the top and lower front of your car, hood and fenders, front headlights and those fancy sport lights, door panels, and even the trunk. Practically a thoroughly complete protective wrap of your vehicle! Contact Pro-Tint today and let’s talk about how we can protect your vehicle.